OUTCO offers Spliffin Pure concentrate cartridges for Vape Pens in San Diego. 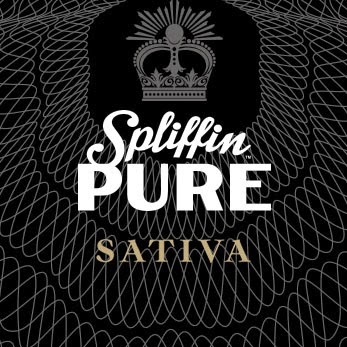 The Spliffin Pure line of extracts average 700mg of THC per cartridge. They are rich in a terpene profile with a powerful 70% THC potency. Tangie - Also known as Tangerine Dream this strain is a sweet fruity citrus taste and smell. Originating from the 2013 Cannabis Cup winner the effects give a euphoric high that patients describe as helping with pain and relaxation. Jack Herer – Jack Herer is stong and spicy just like the famous cannabis activist. This sativa strain provides a euphoric elevated effect to give clear and creative thoughts. Super Lemon Haze – Like the name refers this strain gives a powerful tart and citrus punch. Patients describe it as energizing and uplifting to give a euphoric high. Donna OG – Spliffin's own unique cross between two OG strains give a potent indica sedation. With a sweet pine scent the effects stimulate appetite and reduce depression giving relief to pain and anxiety. Spliffin OG – A classic OG crossed with Larry OG gives a floral dream like experience. Proprietary only to Spliffin, patients describe the strain as great for relieving stress and helping with insomnia.